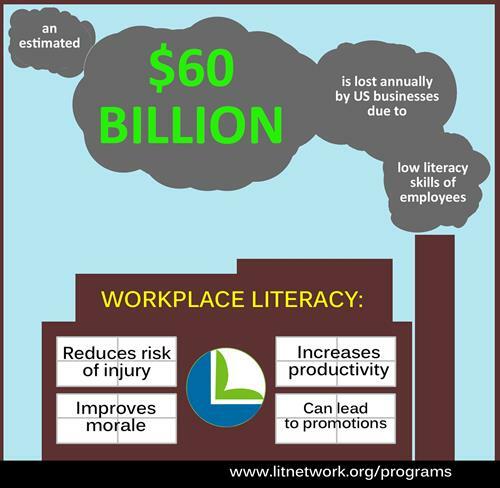 Literacy Network teaches reading, writing and speaking skills to Dane County adults and families so they can achieve financial independence, good health and greater involvement in community life. We serve more than 1,000 adult learners each year, working with community centers, hospitals, clinics, colleges, libraries, schools and partner organizations. English for Health program has been acknowledged as a national model, and helps families better understand health information, increase their comfort level with doctors, nurses and pharmacists. Literacy skills are a strong predictor of individual health status: more than age, income, education level, employment status or racial or ethnic group. The College Transition Program is recognized statewide for its unique technical college partnership to help adult learners achieve their dreams of higher education and promising career prospects. English in the Schools helps parents become their child's first teacher. Parents learn to better communicate with the teachers and principals, learn school-based vocabulary, participate in parent-teacher conferences and build their confidence in interacting with schools staff. To learn more about our work in the community, contact Executive Director Jeff Burkhart at 608-244-3911.